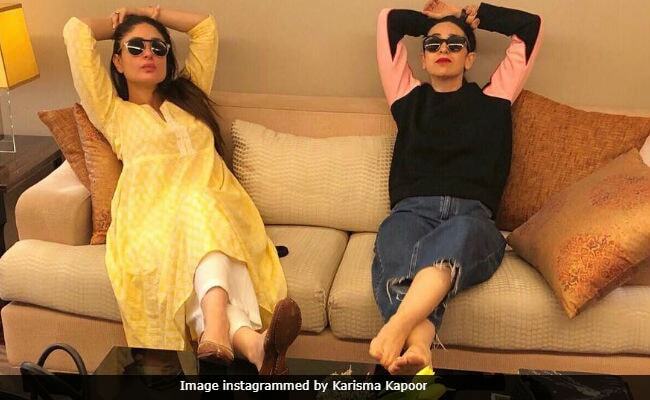 This is what happens when the Kapoor sisters "are working in the same city on the same day"
Kareena Kapoor and Karisma Kapoor are chilling like 'gangsta girls' in New Delhi. Karisma instagrammed a picture of them relaxing in a hotel room before they headed for their respective work commitments and the Internet loved it. From compliments for their style and sister bonding, Instagram users had all good words. A section of the Internet also requested them to make a film together. Though Kareena and Karisma have co-stared in an advertisement, they are yet to star in a feature film. Ages ago, Karisma told news agency IANS that they've been offered roles in the same film but "we need to get the right script." The Zubeida actress has been vocal about her sabbatical from films (she's not retired, though) while Kareena Kapoor is all set for the release of Veere Di Wedding, her first film in two years - she was last seen in 2016's Ki & Ka and Udta Punjab. Kareena took a maternity leave after the birth of her son Taimur. The trailer of Veere Di Wedding, which also stars Sonam Kapoor, Swara Bhasker and Shikha Talsani , released on Thursday and it was an instant hit. Celebs loves it and so did the Internet (we're ignoring some trolls because haters gonna hate). Veere Di Wedding is the story of four girlfriends who have each other's back while dealing with their personal crisis. 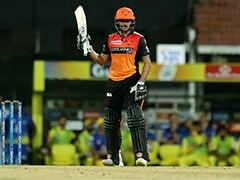 The Shashank Ghosh-directed film is slated for June 1 release.